More than 100 people were evacuated from a Florida nursing home Wednesday after five people were reported dead at the Hollywood facility, whose residents were suffering from intense heat caused by a lack of electricity after deadly Hurricane Irma swept through. Broward County Mayor Barbara Sharief confirmed five people died, but it wasn't immediately clear if the deaths were related to heat. Temperatures in Hollywood were expected to be around 86 degrees on Wednesday -- but feel about 10 degrees warmer. Three deaths occurred at the nursing home, and two deaths took place during transport to a nearby hospital, Sharief said. Orange County Sheriff's Office spokesman Jeff Williams told The Associated Press a deputy responded to the home following a 911 call from what sounded like a juvenile. The deputy was overcome by fumes while approaching the home and called for fire rescue. Firefighters discovered two people dead inside the house, FOX35 Orlando reported. Another person, who tried to get out of the home, was found dead on the front lawn, while four others from inside the home were taken to a nearby hospital. Rescue workers found a portable gasoline generator running inside the home. A neighbour told FOX35 Orlando generators were not allowed in the community, and officials across Florida are warning people to keep generators outside homes. One Miami-area apartment building was evacuated Tuesday after authorities determined a lack of power made it unsafe for elderly tenants, while officers arrived at another retirement community to help people stranded on upper floors who didn't have access to working elevators. Elsewhere, a South Florida townhouse that weathered the storm was gutted by fire when power was restored, which caused the stove to ignite items left on the cooktop. The number of deaths blamed on Irma in Florida climbed to 13 with the carbon monoxide deaths, in addition to four in South Carolina and two in Georgia. 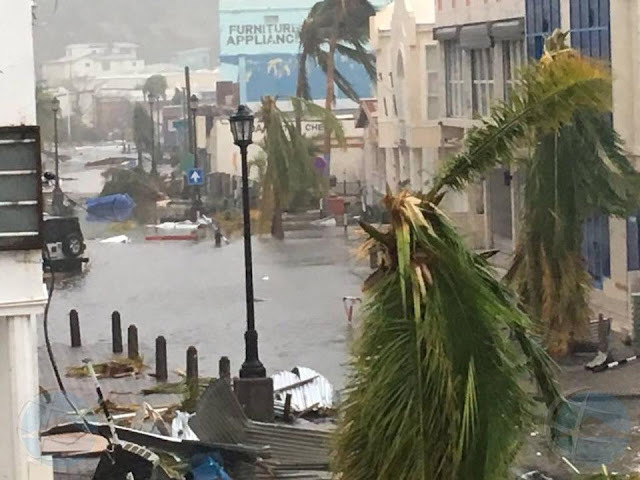 At least 37 people were killed in the Caribbean. "We've got a lot of work to do, but everybody's going to come together," Florida Gov. Rick Scott said. "We're going to get this state rebuilt." The number of people without electricity in the steamy late-summer heat dropped to 9.5 million - just under half of Florida's population. Utility officials warned it could take 10 days or more for power to be fully restored. About 110,000 people remained in shelters across the state.